BodyLogic* provides onsite injury prevention programming to a diverse, international client base. BodyLogic’s* goal is to bring successful, interactive, long-term programs to the employees of the organizations it services and to provide measurable, comprehensive results to the employer. Allow individuals the dignity of choosing how and when they will manage their care, by giving them information in a non-judgmental, simple, and accessible way. Embrace the diversity of our clientele and treat them with respect and empathy. 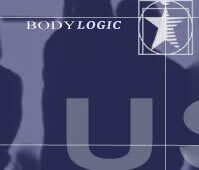 Establish BodyLogic* as a progressive, people oriented, caring company that exceeds expectations and applies the highest standards in its services and products. Deliver education in a creative, passionate and interactive manner. Incorporate relevant current data on health and wellness in a personalized and results oriented program. Offer a fun, memorable, lasting program to employees and give meaningful, comprehensive results to the employer. our attitude towards it, for that determines our success or failure."